Revel in me...: Little White Shirt. Grabbed a quick lunch with the boyfriend at a new sandwich joint near my place-- Pickle & Fig. I am a huge fan of sandwiches (used to eat sandwiches for lunch EVERYDAY in Melbourne! I make quite mean killer sandwich :D)! 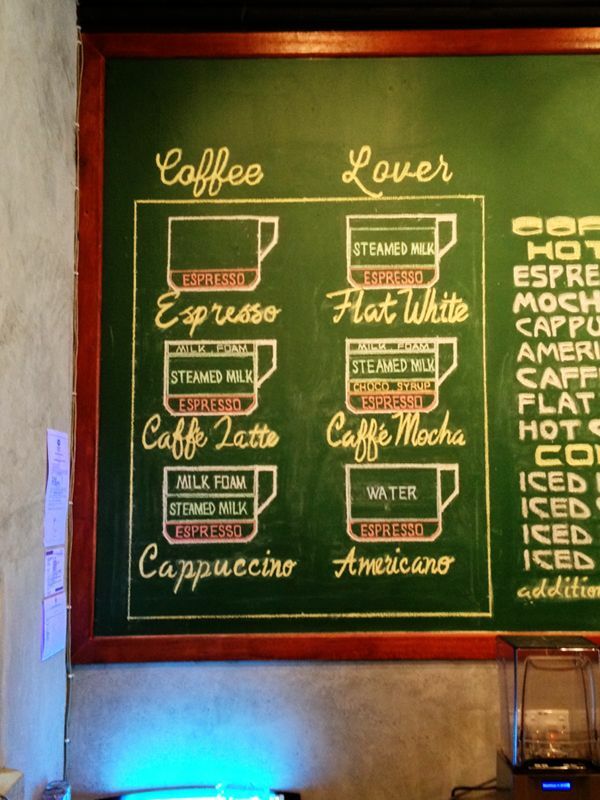 Which coffee type are you? 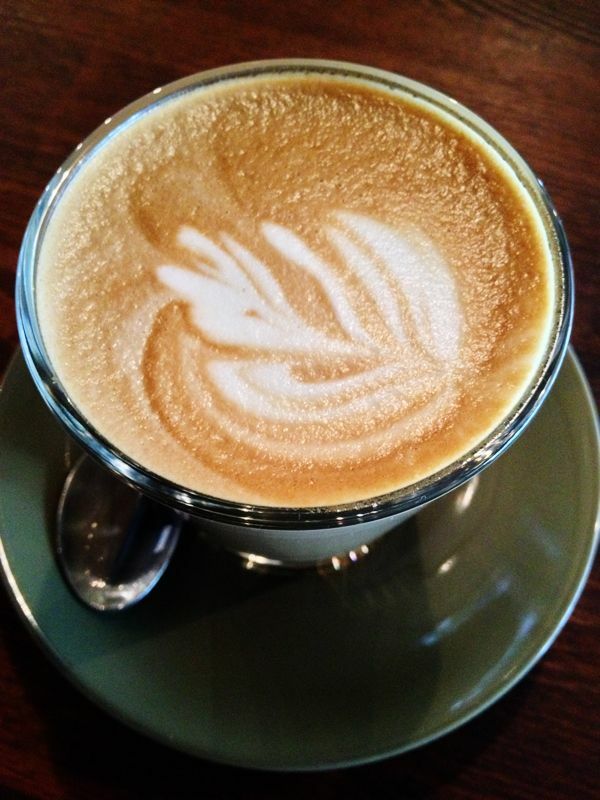 For me, a latte always tickle the spot. The sandwich was moderately satisfying, but alas I found it to be too expensive! I think my sandwich was RM18.90 which would make it RM20++ with tax. 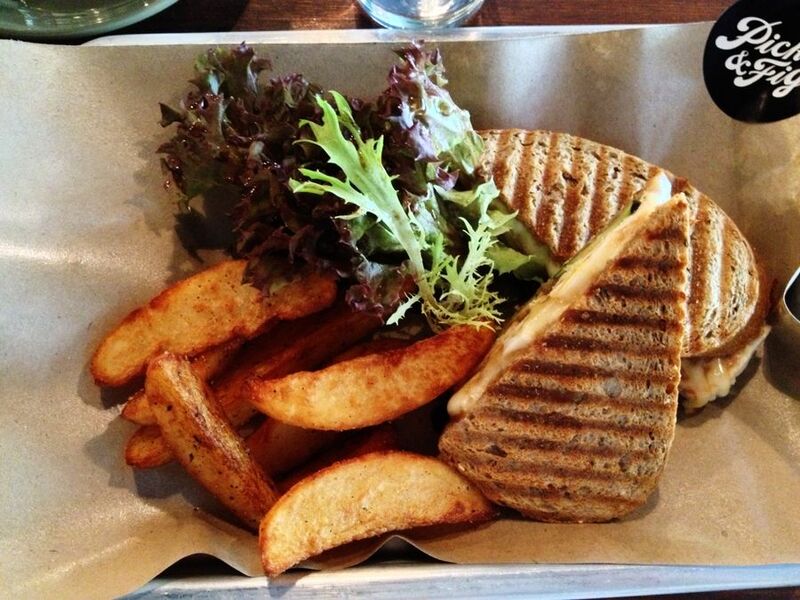 Sandwiches should not be more than RM15 RAWRRR! 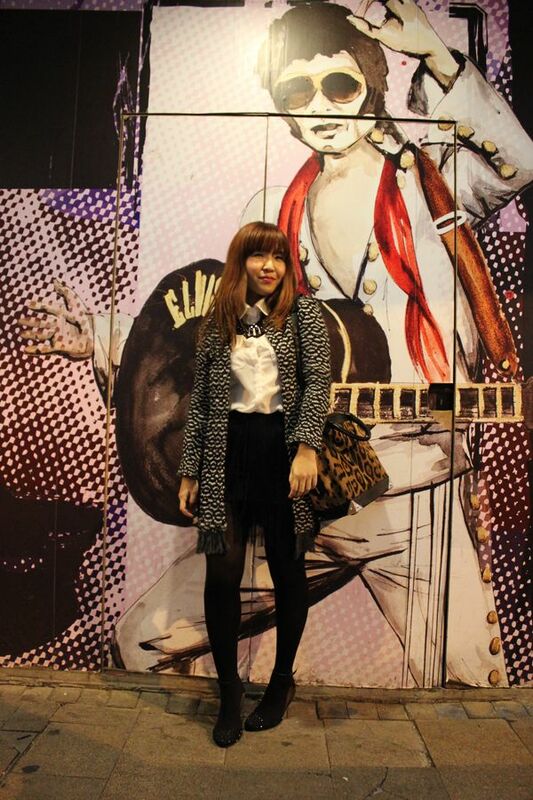 Layered under a Topshop tee in Hong Kong. 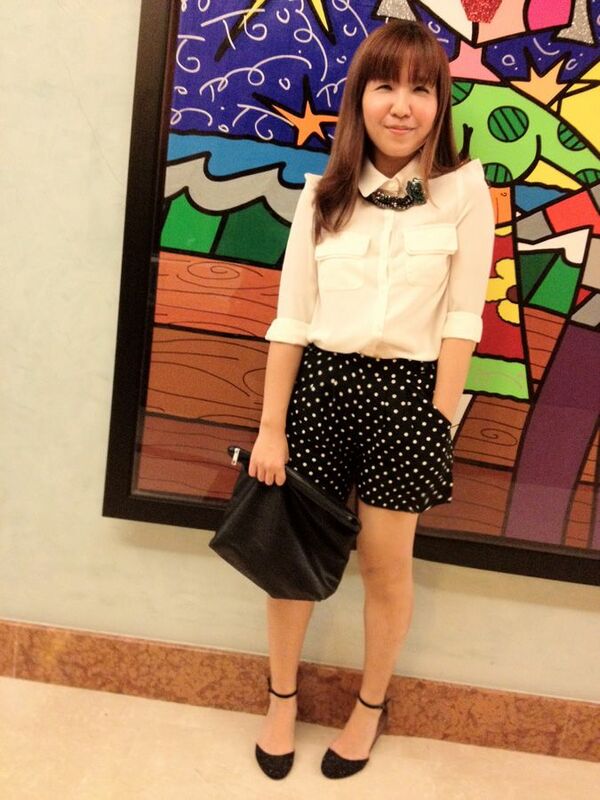 Worn with AZORIAS polka-dot shorts in Resort World, Singapore. 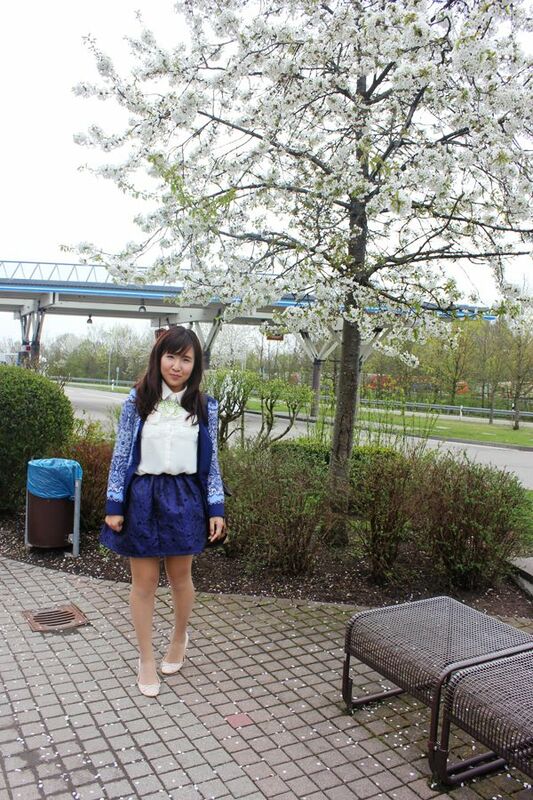 Love wearing it with printed/ bright-colored blazers. This was in Munich, Germany. Brocade skirt is coming soon on AZORIAS! 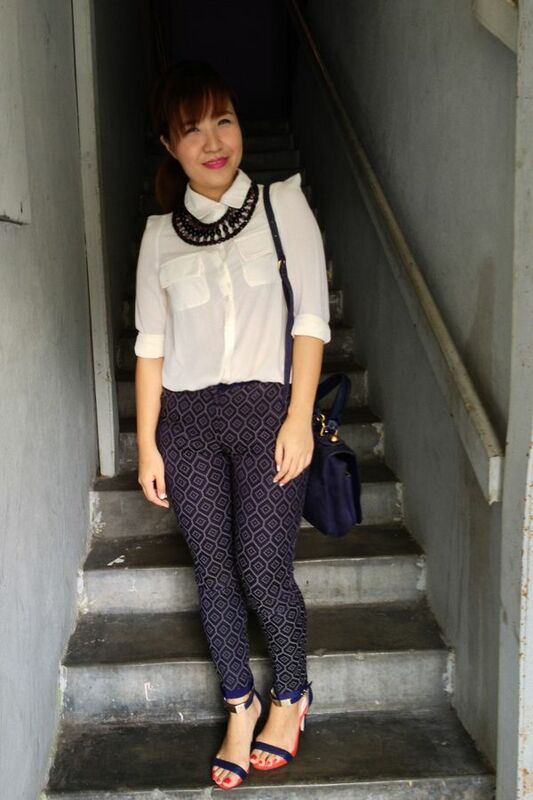 Blogged about this outfit before here. Wore it for a Her World photoshoot featuring my mom and I! Absolutely love this crisp white shirt because it complements statement pieces such as this fringed miniskirt perfectly. Wore this for a Michelin-star dinner in Hong Kong. One of my favorite ways to wear the shirt-- layered under a sweater! On a cruise boat in Luzern, Switzerland. Please excuse the gloves, it was really cold on the boat! Anyway, if I am not mistake, there is only one last piece left on AZORIAS! In fact, you can shop all last pieces (i.e. highly popular pieces) here.